Heeft u een vraag voor Hotel Sangam? Hotel Sangam, gebouwd in 1983, is een aanwinst voor Kanyakumari en een slimme keuze voor reizigers. Het stadscentrum is slechts 0.4 km verwijderd en het vliegveld kan binnen 180 minuten worden bereikt. Dankzij de praktische ligging, biedt de accommodatie eenvoudig toegang tot alle belangrijke trekpleisters van de stad. Profiteer van de ongeëvenaarde services en voorzieningen bij deze accommodatie in Kanyakumari. Deze accommodatie biedt ter plaatse vele faciliteiten die zelfs de meest veeleisende gasten zullen tevredenstellen. Gasten kunnen kiezen uit 25 kamers, welke stuk voor stuk plezierig en comfortabel zijn ingericht. De accommodatie biedt talrijke recreatieve mogelijkheden, zodat u voldoende te doen heeft tijdens uw verblijf . 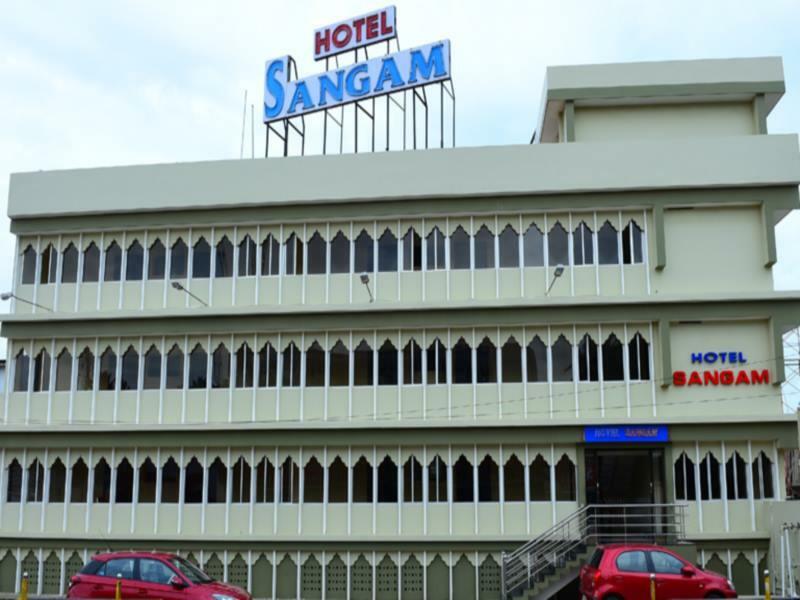 Hotel Sangam is een uitgelezen keuze als u een kwaliteitsaccommodatie zoekt in Kanyakumari. The plus point of this hotel is its location. The rooms are bit spacious. But apart from this nothing is good. The staff is not friendly at all... almost all have grumpy face. There are no toiletries and its better u carry your own. The town is breezy and windy mostly and the window panes of these hotel keep rattling all night... u don't get a peaceful sleep. Also the room service and in house keeping is as lazy as snail...!!! Hotel has very spacious and clean rooms. Staffs are cooperative and they provided early check-in and made alternative arrangements for getting up fresh up as we were 3 hours early. Hotel doesn't have any lift/elevator. That was the biggest trouble for my elderly parents. Otherwise, the stay was very much comfortable. Location is excellent. 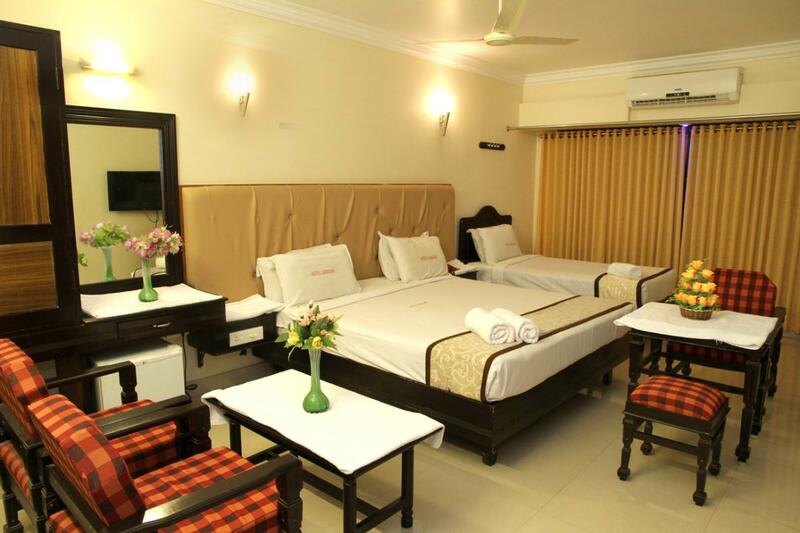 Rooms are quite spacious, staffs are cordial & cooperative. Breakfast was excellent. Over All it was very good. Arrived after having booked a superior air con room and was shown to a small double room. On complaining I was told that they can fit five people in the bigger rooms. Eventually I was shown to the type of room I had booked, which was immaculate apart from blood stains on the pillow case which was never replaced. The room did not have a balcony, mini bar, trouser press or bathrobes as advertised. No rooms have these I was told by reception. Breakfast is good and taken in a hot and stuffy room with no windows. The on site restaurant is busy and serves good food. On leaving reception staff advised me to book my car through the hotel since they provide reliable and safe cars. This is a SCAM and my dirty, oily car arrived with no rear seat belts!! After much procrastination another dirty car arrived (with seat belts this time) and as I was already an hour late I was forced to take it. it is better to book far superior, clean and safe cars from around the corner for a much cheaper deal. 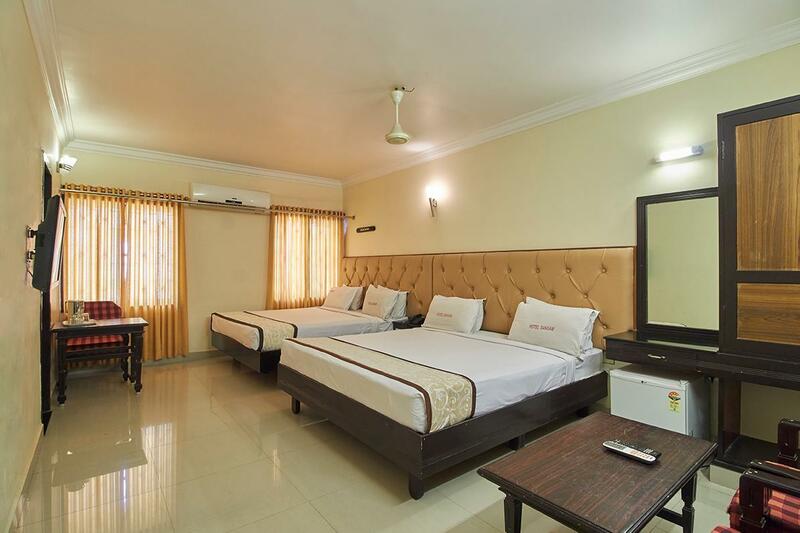 Shame on you Hotel Sangam for wrongly advertising room and hotel facilities and providing cars for guests that are dirty and without basic safety facilities. Had a nice time with my family, feels nice and safe. Good breakfast, friendly staff, easy access etc. are few highlights. Don't think there is any Ocean view as such, might be there in higher floors though. Conveniently located, clean and comfortable. Probably that they moved us to another hotel. We made a booking, and after waiting quite a bit at the counter to check in, we decided to eat at the hotel restaurant. When we came back, we were told to go to "Sea Face"...when I asked what the clerk meant, he just pointed in the general direction of down the road and told us 3 minutes. I couldn't get any additional information from him. In the end we started walking... in our very tired state, after a 7 hour train journey... and asked several people along the way... and in the end landed up at another hotel. I'm not sure how it is possible for Agoda to confirm a booking at a specific hotel, and then have the hotel move us to another hotel..... where we were put into a room about the size of a broom closet. Needless to say, we were very dissatisfied with the whole deal, and more or less feel we're were swindled on this deal. Stay at Hotel sangam was comfortable. The location is very close from Rock memorable point.Close to all local restaurants. Only issue only faced was during check-in it took more time when we said we booked it through Agoda and gave them voucher. 카야꾸마리 여행시에는 위치가 좋은 이 호텔을 부킹하는게 좋다. 그러나 직원태도와 편의시설, 가격에 비해 조금은 모자란 호텔이다.